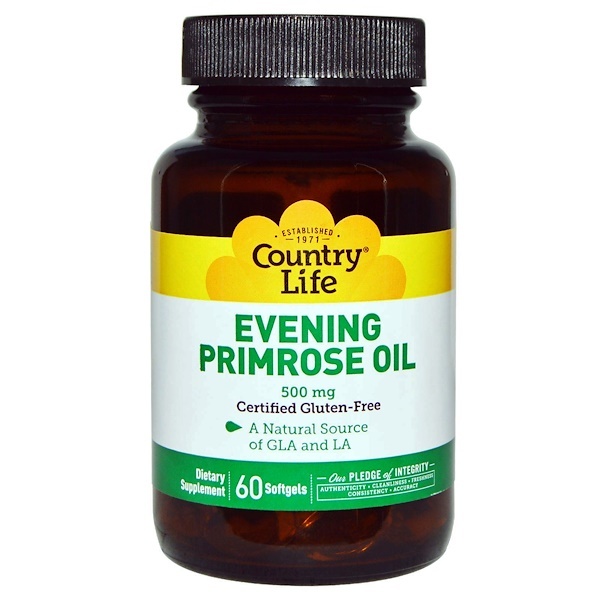 Country Life's Evening Primrose Oil is a natural source of GLA (Gamma Linolenic Acid) and LA (linoleic acid) fatty acids. Country Life uses no Hexane or other harmful solvents during extraction. 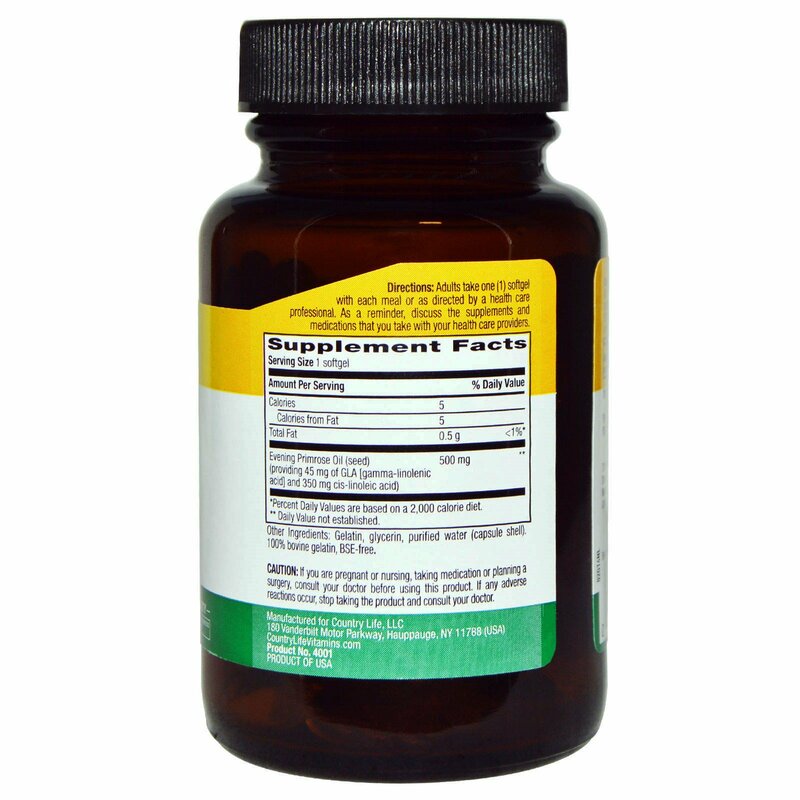 GLA is an omega-6 fatty acid involved in human metabolism. Adults take one (1) softgel with each meal or as directed by a health care professional. As a reminder, discuss the supplements and medications that you take with your health care providers.